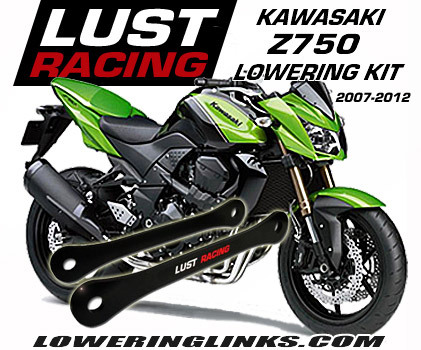 Lowering kit for Kawasaki KX65 year models 2000-2019. Lowers the rear suspension and the seat height by 2 inches allowing shorter and younger riders getting on the bike for some serious fun. Easy to install, instructions included. 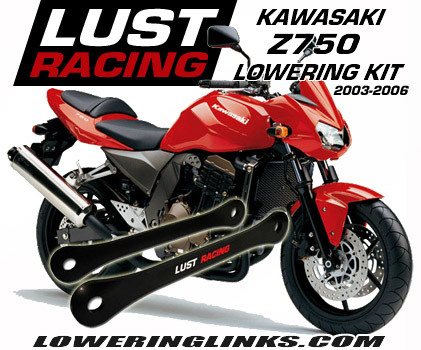 2″ inch lowering kit for Kawasaki KX65 year models 2000-2019. Lowers the rear suspension and reduces the seat height by 2″ inches allowing younger and shorter riders to ride the bike. Safe modification, this is a high quality lowering kit made in roll forged steel, the suspension lowering links are stronger than the standard tie-rods replaced when fitting this kit. Installation instructions included. 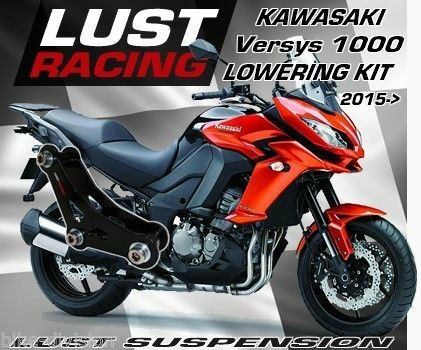 BONUS Free Lust Racing sticker with every order! 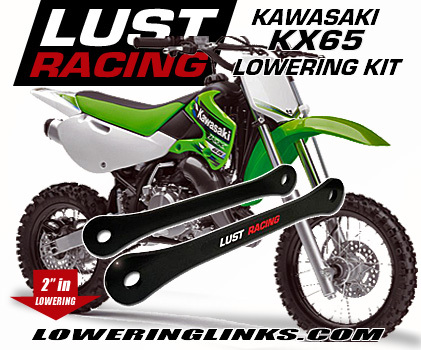 Order your Kawasaki KX65 lowering kit today!